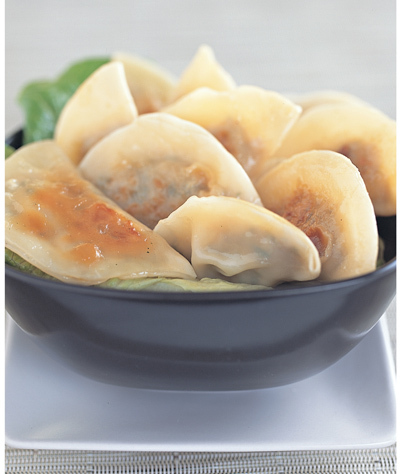 Have you ever made Potstickers? They're incredibly easy and the kids love making them too (and they're freezeable to boot!). They make a tasty snack or you can serve them as canapes at a cocktail party. Most of the work is done in advance and they only take a few minutes to cook in a frypan. That's my kind of cooking! Thankyou to Sheridan Rogers for featuring this recipe from FROST BITE on her website this week.